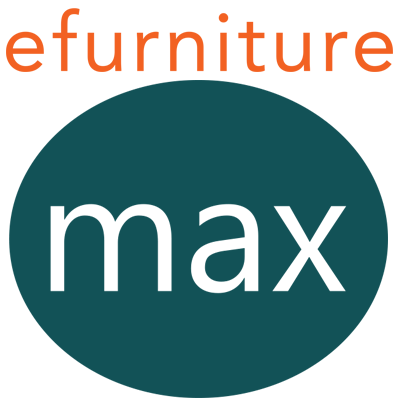 efurnitureMax was founded for a simple purpose: to make online furniture shopping convenient, hassle-free, and fun! There are so many places to shop online, but so few that understand what it means to provide excellent customer service. Since its founding in 2005, we at efurnitureMax have been dedicated to our goal of providing the most exceptional customer service you've ever experienced. From our friendly customer service staff (located in Indianapolis, Indiana - not Asia! ), to our complimentary warranty fulfillment, to our simple returns policy and beyond, every aspect of our business has been designed with the customer in mind. Put simply, we treat our customers exactly how we would want to be treated. efurnitureMax has always been family owned and operated since its founding. While we are a small company at heart, we've expanded to a larger company that ships out of over 15 warehouses located across the United States. Our Furniture Experts customer service staff is located centrally in Indianapolis, IN. Whether you need assistance in designing your office, have product questions, would like to speak to us about your order, or [insert anything else here! ], they are always available to assist you both during business hours via phone and after business hours via email. Warranties - We handle them for you. No more hassle when issues occur, or dealing with the manufacturer on your own. efurnitureMax was originally an eBay store, started back in 2003. Although we have grown much larger than our historical eBay account, you can still find us there: efurnitureMax. Throughout our involvement with eBay, we have maintained eBay Powerseller and Top Rated Seller statuses while earning 100% positive feedback for thousands of transactions. As we grew, we developed our first website, CircleTrader.com. After a few years of continued growth, CircleTrader.com was rebranded as efurnitureMax. Today, we are a multi-channel furniture retailer selling on eBay, Amazon, Pricefalls, and many other marketplaces. We want all customers to buy with confidence and to enjoy their shopping experience with us. Is there something else we can do for you? Please contact us and let us know if you have any questions or concerns.